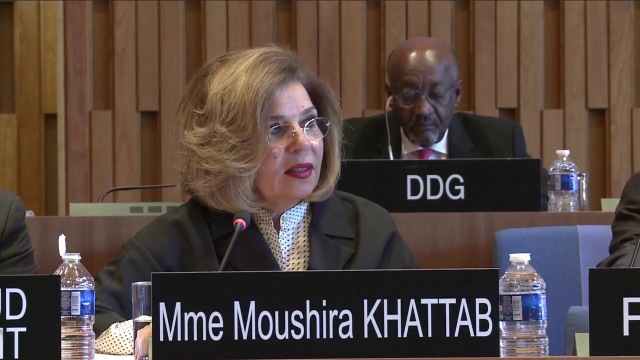 Moushira Khattab is the former Minister of State for Family and Population of Egypt and a career diplomat. Born in Cairo in 1944, she is a seasoned expert in various UN disciplines and a social development orchestrator with a proven track record of success. Ambassador Khattab culminated her diplomatic career as assistant Minister of Foreign Affairs for International Cultural Relations. Auteurs et personalités: Moushira Khattab, interviewee. Production: UNESCO TV, producer.UNESCO Executive Board, sponsor.